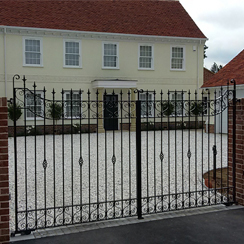 There’s no doubt that metal or wrought iron gates add a touch of class to a property. 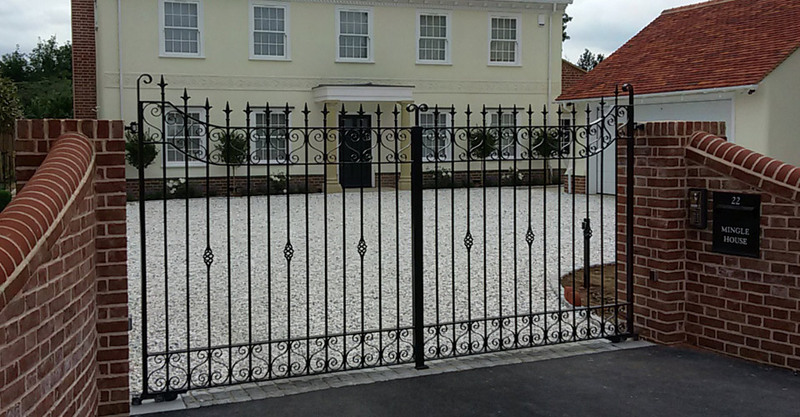 Really, the decision as to whether you have metal or wood is largely down to the look you want for your home. 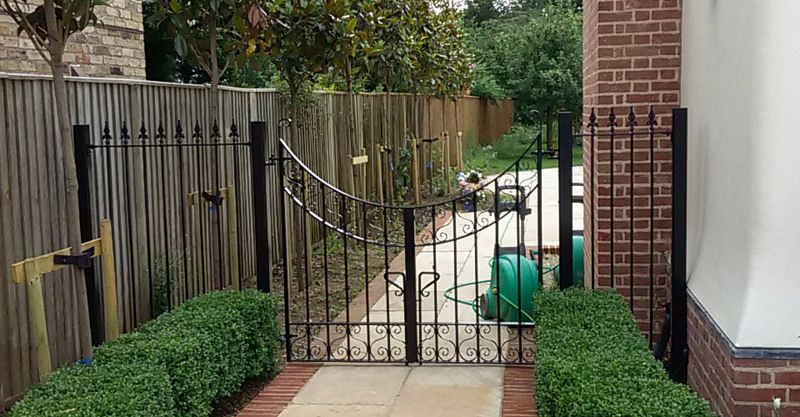 Metal gates are undeniably imposing, whether you prefer geometric patterns or ornate decorative arches and curves. 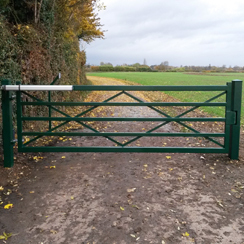 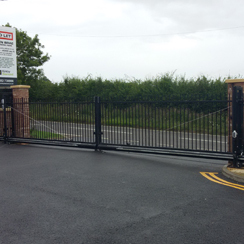 Our metal gates are made by our skilled fabrication team on site in our well-equipped workshop. 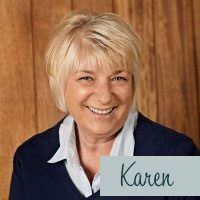 This enables us to constantly check on quality and not have to depend on a third party supplier ‘fitting us in’. 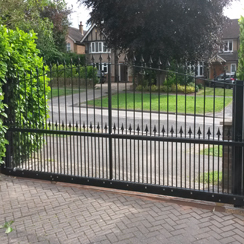 We have a range of popular styles for you to choose from – or talk to us about a bespoke design, perhaps based on a picture or a set of gates you’ve seen. 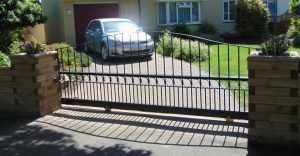 You may want to think about whether privacy is important to you – metal gates tend to be created around the kind of bar designs you’ll see below, which don’t stop prying eyes. 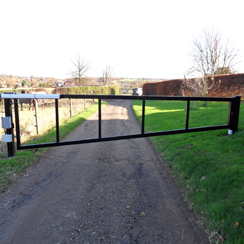 For more privacy, we can add steel sheeting to your gates. 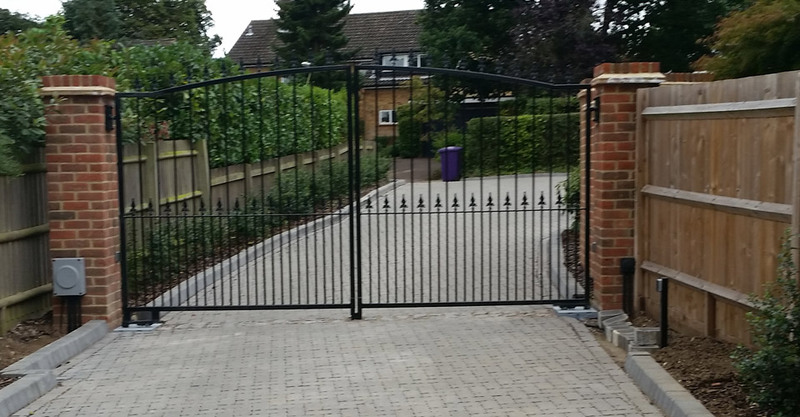 Alternatively, you may want to look at our wooden gates or even a bespoke solution that’s a combination of both materials. 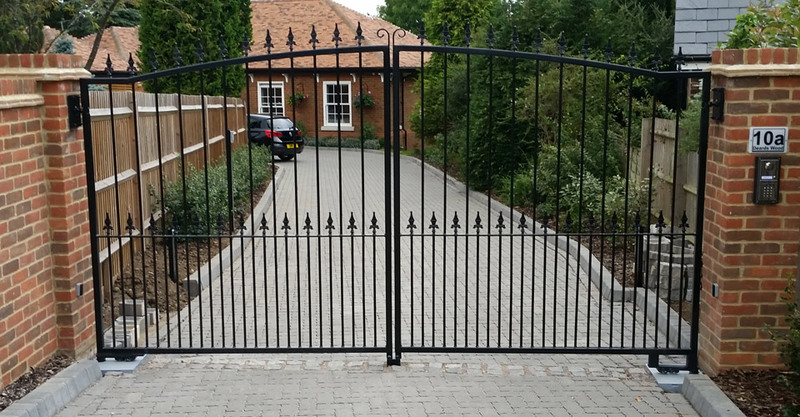 Formed of a metal frame and infilled with wood, our various Morden gate styles offer a great combination of both metal and wood. 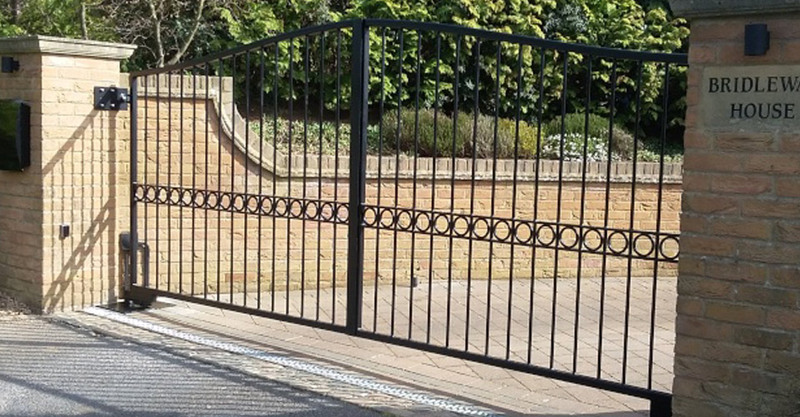 If you like the look of metal, we’ll help you find a stylish, practical solution, whether you want a pair of swing, sliding or cantilever driveway gates, a pedestrian gate or a side railing – our team will discuss your options with you. 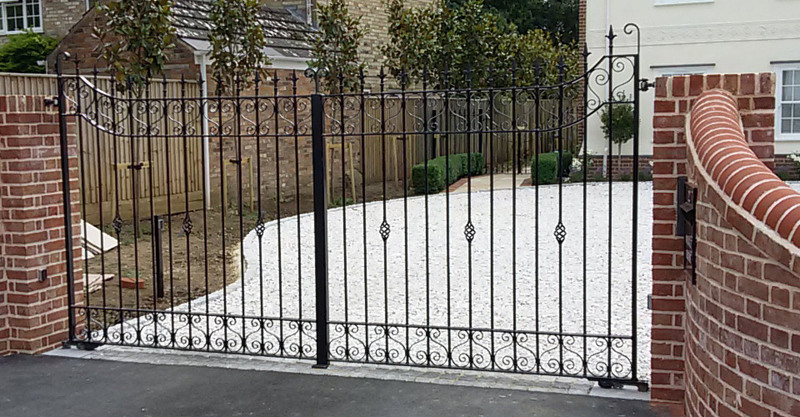 Once your gates and railings have been made and have passed our quality control checks, powder coating (with zinc undercoat) in a colour of your choice will finish the gate, either to blend in or to stand out. 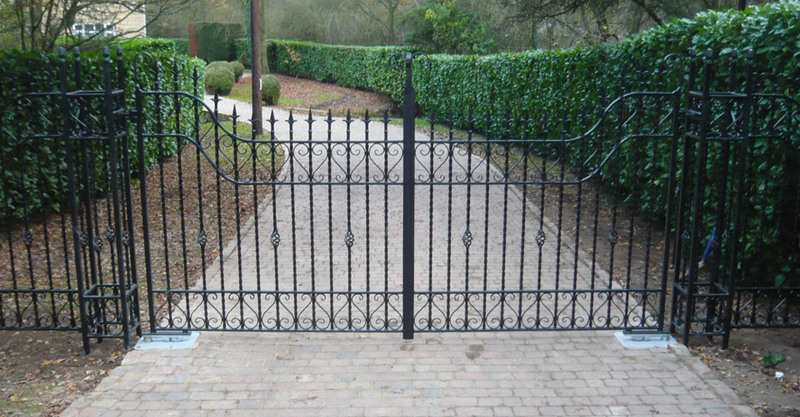 Your gates can also be galvanized, which gives them an extra tough and durable coating. 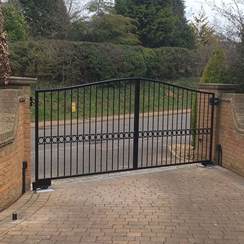 Your hinges, gate fixings, and intercom/photocell posts can also be powder-coated to match, which really adds to the overall finish of the installation. 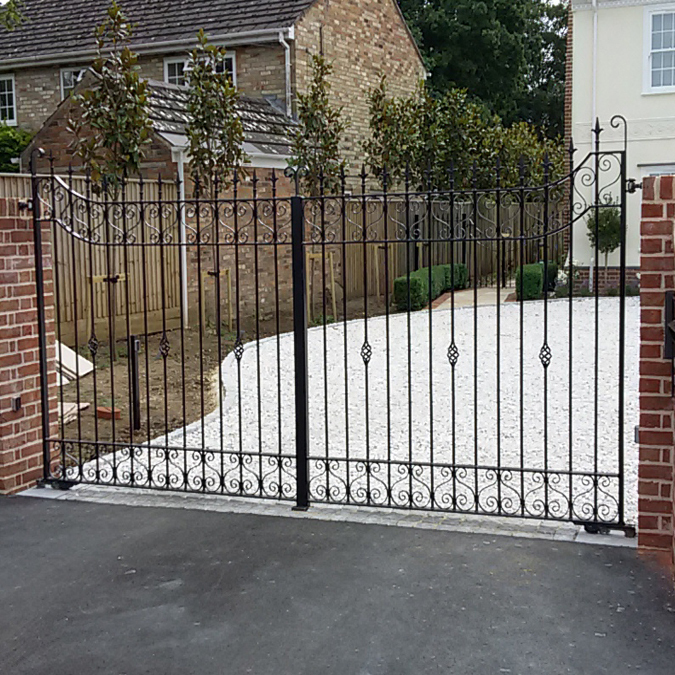 Choose from an extensive selection of sizes, styles and designs or alternatively, you can have bespoke metal gates manufactured and installed to your exact requirement. 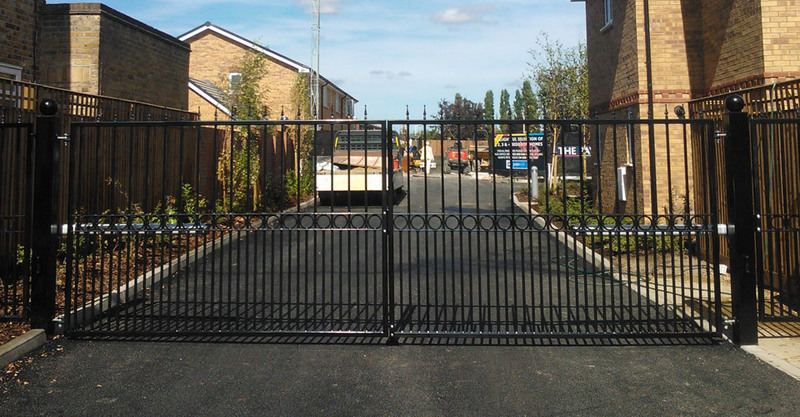 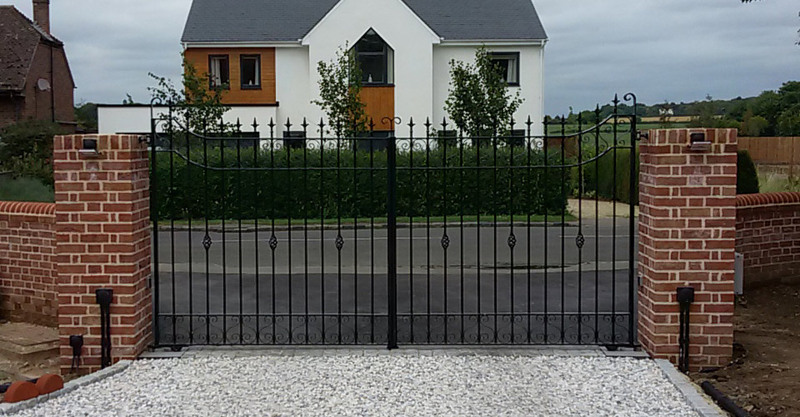 Take a look at the examples on this page – just a few of the countless metal gates we’ve installed at a wide range of homes. 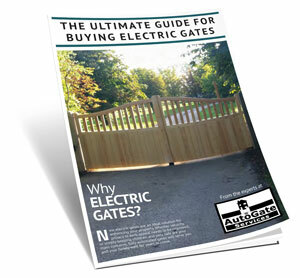 Call now and speak to an expert about your metal electric gates, without any obligation 01763853663. 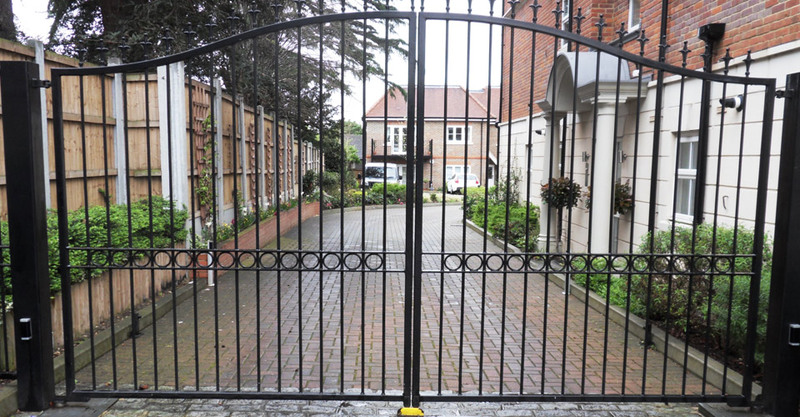 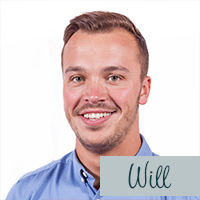 A member of our team will be happy to visit your premises and provide a detailed site survey and quotation. 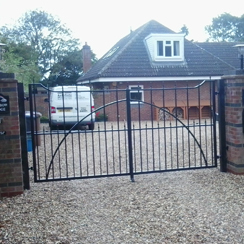 This is free of charge and carries no obligation.